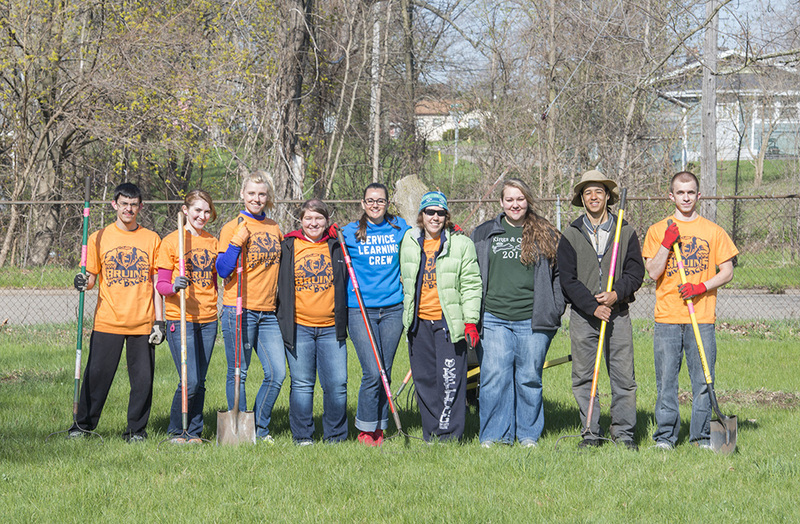 The second Bruins Give Back volunteer service event of Kellogg Community College’s Spring 2016 semester will be held from 9 a.m. to noon Friday, March 18, at two locations in Battle Creek. Dudley STEM School, 308 Roosevelt Ave., where volunteers will assist teachers with STEM Fair projects. The Habitat for Humanity ReStore, 595 North Ave., where volunteers will help employees sort and clean donated items. All KCC students and employees are invited to serve at this and future Bruins Give Back events, and can sign up online via the Bruins Give Back registration form at https://docs.google.com/forms/d/1wARxW1XsUY-NXi5brQYTSWYH2uztKcrBHZwr0-h4NBc/viewform. The third and final Spring 2016 Bruins Give Back date of the Spring 2016 semester is Friday, April 22. Nearly 150 KCC students and employees together volunteered for more than 400 hours through Bruins Give Back events during the Fall 2014 and Spring 2015 semesters.